But the way there should not be an easy one. At the beginning the first lift pitch was missed (we weren't the only ones), which of course led to the first minus points. Then adverse weather conditions caused a gate tour over deep snow, bad visibility over a black slope up to the saving second lift pitch. After the lift pitch lap we were fortunately chosen among the top 5 of the 39 startups and were able to participate in the evening stage pitch. In the end, we were ranked second and received a 1000,- Euro voucher – including a lot of interesting new contacts and interested investors, who were not only networking successfully with us but also with many other participants via our event app. We would like to thank you very much for this adventurous and fun event and are looking forward to starting again next year. Key points of event management and B2B networking are solved by us as if they were our own paint points. 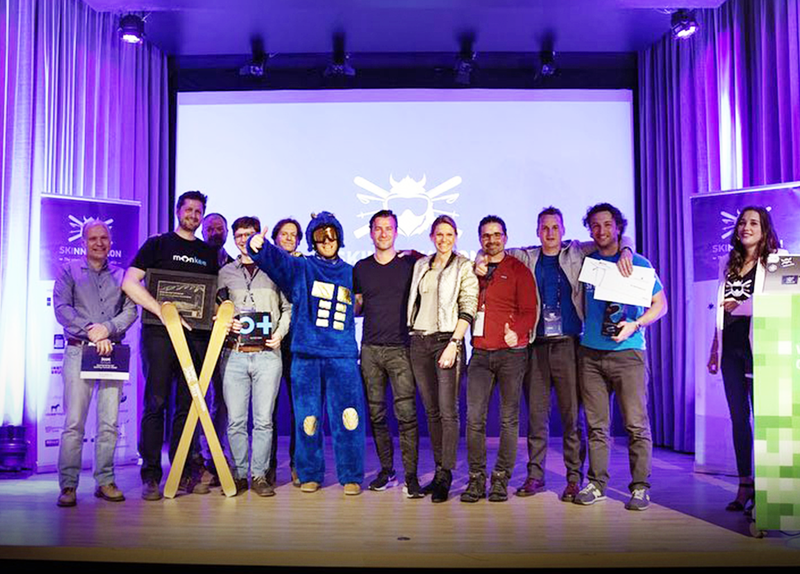 After the adventurous lift pitch which took place under adverse weather conditions, the stage pitch🚡🚀at the Skinnovation 2019 brought us the second place🏆of 39 of all startups in Tyrol. If you want to know more about the features, the event app / web app, talqueCMS or website plugins, just contact us. If you like talque feel free to join us on Twitter, Instagram, LinkedIn or Facebook and give the app a high five.